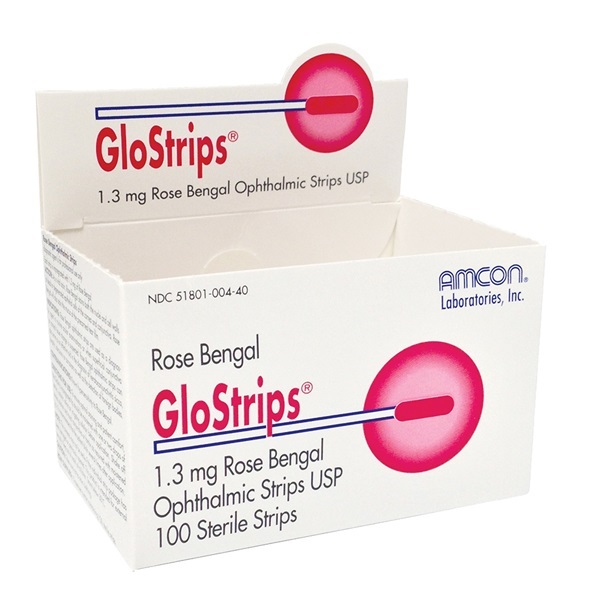 GloStrips rose bengal 1.3mg topical dye strips. 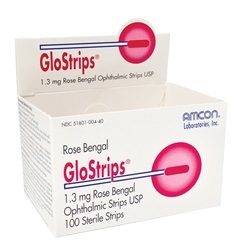 Sterile strips are individually wrapped with red/pink dye. Manufactured by Amcon. NDC Number: 51801-004-40. Comes 100 strips per box.